I turned to see the head of an enormous turtle emerging from the darkness, followed by four or five others. They were not only the size of a man, they were also blue and had an air of being immensely cool. I haven’t had any turtle dreams lately, but I’ve had some cool turtle encounters and conversations! For starters, part of the writing sample that helped me win the 2015 Edwin Way Teale Artist-in-Residence opportunity (joyfully awaiting details on my week devoted to nature writing this summer!) 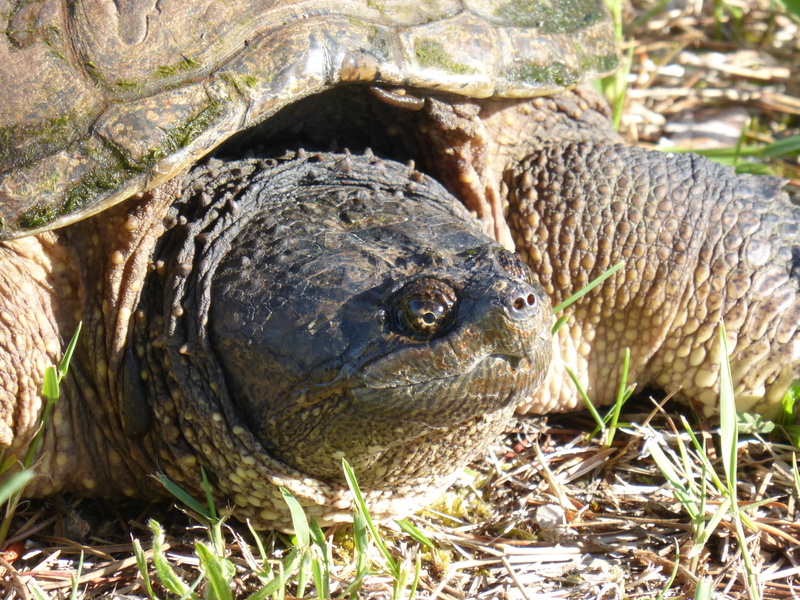 has a snapping turtle in a starring role! Of course, it also reveals that I have a lot to learn. Had we been a more educated bunch, we might have guessed that this was highly likely to be a female en route to (or from) an egg-laying venture, a mission in which she would dig a hole and deposit her clutch of up to 40 eggs. But I still have the smart phone video footage to prove how clueless we all were. It records us gleefully naming the snapper Phil, after considering Bob and Joe. The only smarts we had consisted of our hands-off policy with “Phil” the fertile female, fearing a sharp and lightning fast removal of our digits. But we adored her from just a little way off, thrilled when she moved her flipper a bit, a sign of life to counter her stoic, stone-like affect in the presence of swarming gnats and humans. 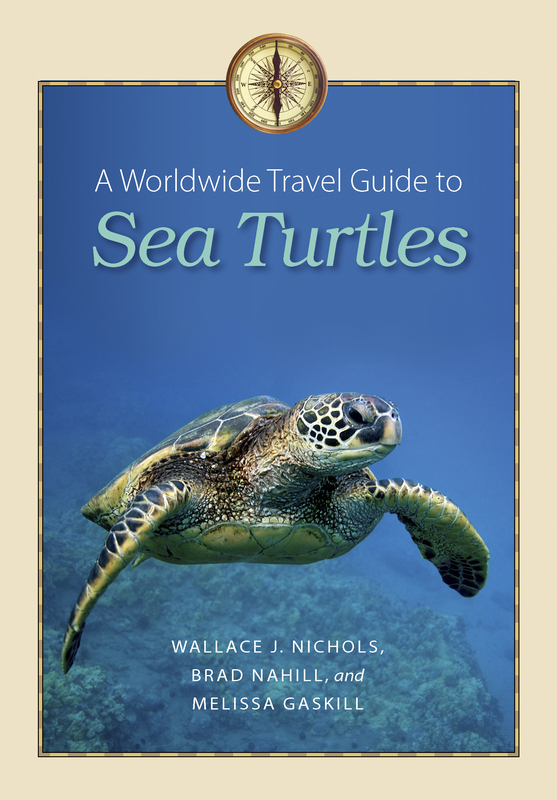 I’ve also been talking with Melissa Gaskill, an expert on sea turtles who has written A Worldwide Travel Guide to Sea Turtles and also happens to be a member of my online nature writing group. It’s rare to find sea turtles in Connecticut, but I am considering a side trip to the New England Aquarium to see Myrtle! She’s been living there since I was just 3 years old! It’s clear that these creatures—like so many sea creatures right now—need our help and vigilance, and Melissa explains what we can do. Here’s my interview with her. You can see that her passion and expertise started with a simple act of interest and citizen science, with her kids along for the ride! How and when did you first get interested in sea turtles? 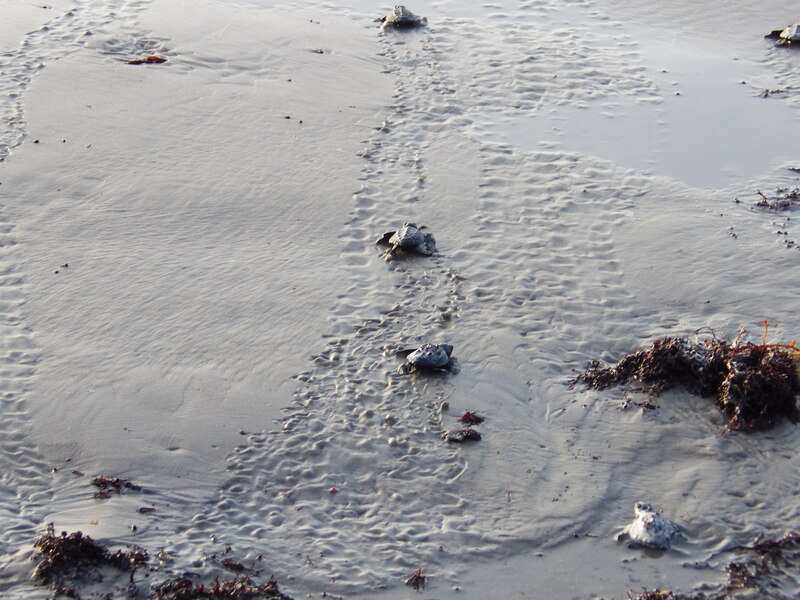 I had my first encounter with sea turtles when spending a summer in Baja California Sur with my three kids. We volunteered to patrol a stretch of beach on the East Cape for an organization that protected nesting sea turtles there. We found and reported a new nest that we later learned contained 87 eggs. 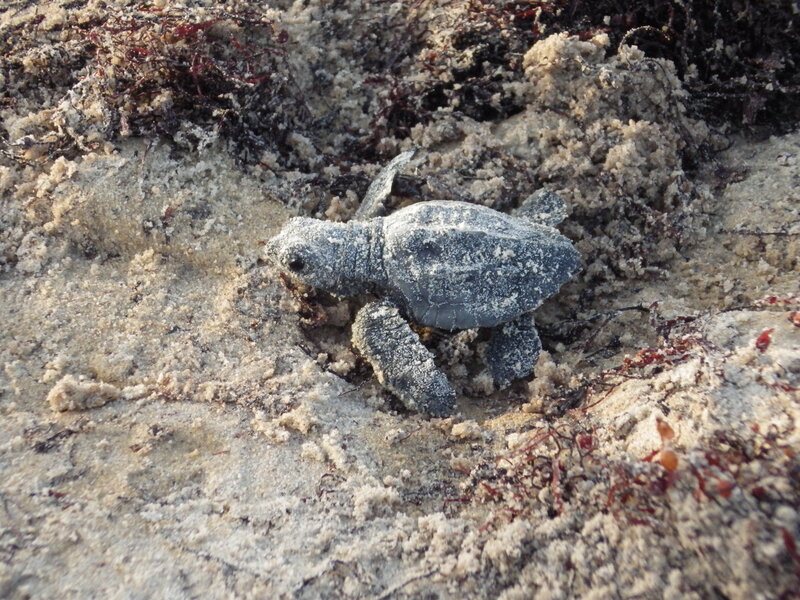 After that, I started writing about sea turtles and was fortunate to attend a hatchling release at Padre Island National Seashore, see a Kemp’s ridley nest hatching out in the wild in Mexico, snorkel with green sea turtles in the US Virgin Islands, and dive with them in the Caribbean. After I had the idea of writing a book about all the places you can see these animals and support their conservation at the same time, I’ve volunteered with sea turtle research in Cuba and Mexico and sea turtle conservation in the Yucatan and Guatemala. Do you know when and where we can find sea turtles in Connecticut? Connecticut isn’t the most likely place to find sea turtles, unfortunately. You can see a green sea turtle, Myrtle, at the New England Aquarium in Boston. A resident since 1970, she currently lives in the Giant Ocean Tank. The closest place for Connecticut residents to observe nesting turtles or hatchlings would be North Carolina. Of course, there are many places around the world where to see them! What can we do/where can we go to learn more about them? A number of zoos and aquariums have sea turtle residents and educational programs, and there are many conservation organizations working around the world to protect these endangered reptiles. If you’ll allow a shameless plug, I literally wrote the book on places where you can visit or volunteer with responsible conservation programs, and it has a chapter on captive encounters (places that keep only sea turtles unable to survive in the wild, for educational purposes and not profit) and one on organizations working with sea turtles. You can learn a lot from the websites of these organizations. As you continue to learn about sea turtles, what fact(s) have surprised you most? One is the astonishing distances some species can travel. Tagging studies have tracked loggerheads swimming from Japan to Baja California, a journey of some 15,000 miles. Leatherbacks can weigh as much as 2,000 pounds and dive up to 3,000 feet deep. Female sea turtles use the Earth’s magnetic field and other cues to return to the beach where they were born to lay their own nest, some 20 or so years later after traveling far from the place to grow up. Each species of sea turtle has a distinctive diet; for example, leatherbacks eat jellyfish and have spines in their throats that help them swallow these slippery creatures; hawksbills eat coral, using their hawk-like beaks to chomp off bits; and green sea turtles are the only herbivorous sea turtles, feeding on algae and seagrass. What are the biggest environmental concerns affecting sea turtles? The main threats to sea turtle survival include fishing activity (they become caught in nets or on longlines and drown), direct take of adults for meat and eggs, marine debris (sea turtles die from ingesting plastic, for example, and are injured or drowned from entanglement in old fishing nets and debris), shoreline armoring (seawalls and bulkheads that prevent females from reaching the beach to nest), artificial lighting (it draws hatchlings away from the water and they die from dehydration, exhaustion, predators, or traffic), and climate change (sea level rise inundates nesting beaches, and changes in ocean temperatures and currents is affecting migration and food sources). What can we do to help with these concerns? A lot! People can choose sustainable seafood (find regional guides at seafood.org), refuse to purchase products made from sea turtles when traveling abroad, avoid single-use plastics, participate in beach clean-ups, use night-friendly lighting (see darksky.org for guidelines), and reduce their carbon footprint. In addition, when you travel you can support responsible eco-tourism such as beach walks; this makes sea turtles worth more alive than dead. Sea turtles have been around for 100 million years – longer than the dinosaurs – yet human behavior has almost wiped them out in the space of a few decades. On the positive side, a large and dedicated group of people work around the world to save them, and we’ve seen a lot of progress. You can be part of this success story! Amazing story and interview. Thank you so much. I’ve seen Myrtle and think of her from time to time as she made a big impression upon me.